The Most Complete List of Wedding Photographers in Mayo - with Photographers, Videographers, Photo Booth Hire, Selfie Mirrors & More. 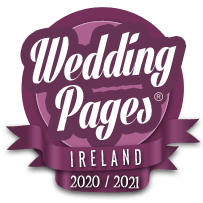 Wedding Pages is Ireland's most comprehensive free directory of wedding photographers & other suppliers. We operate fairly and independently to provide the best quality service to both our visitors, and the suppliers listed here.